One of KyotoCooling’s greatest attributes is its flexibility to facilitate any data center design with a green and efficient cooling solution. Developers and environmentally conscious end-users push architects and engineers to design high performance facilities while ensuring real sustainability. 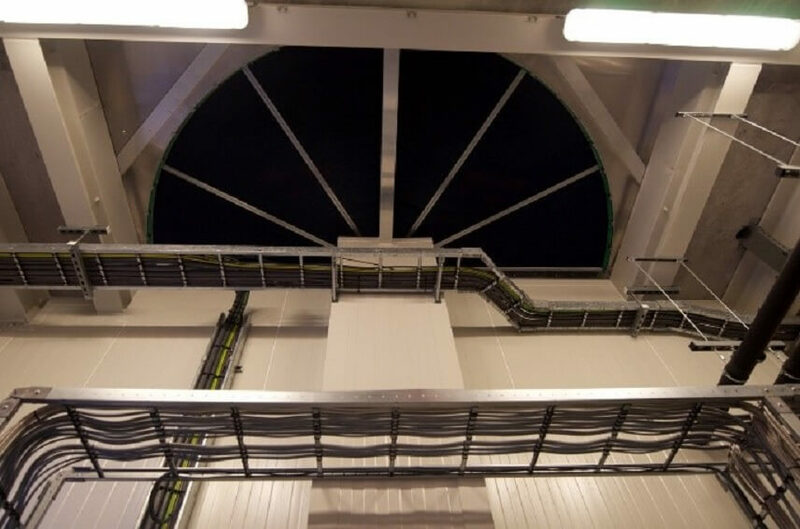 The design of these data centers often requires unique and complex building geometries which can create real issues with air containment management. While KyotoCooling has focused primarily on producing manufactured and custom air-handling units, the company has vast experience in deploying Architecturally Integrated Cooling (AIC) solutions. Instead of individual cooling units or air-handlers with metal panels, our AIC utilizes the building structure as the unit housing for pre-fabricated components that are shipped to your site for a plug-and-play type installation. Yes, even the most challenging greenfield and brownfield data center designs can be accommodated by KyotoCooling.